The list of its benefits seems to be never-ending. For more than 2,000 years, Chinese have used ginger to treat nausea, stomach problems, arthritis, and heart diseases and disorders. Ginger is high in potassium, which is important for proper heart function, and manganese, a mineral that increases the resistance to different diseases, and strengthens the lining of the heart and circulatory system. Ginger is rich in silicon, which contributes to healthy skin, hair, teeth and nails. It contains vitamins A, C, E, B complex, and minerals like magnesium, phosphorus, sodium, iron, zinc, calcium, and beta-carotene. 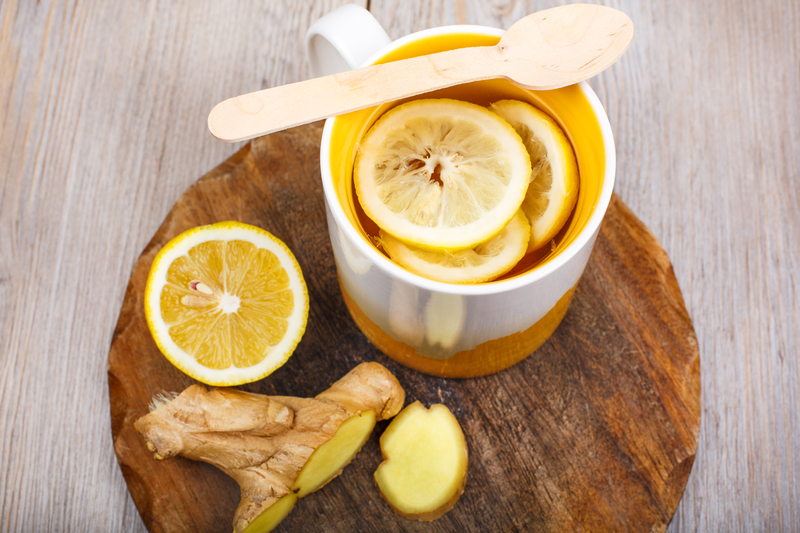 Studies have shown that ginger has the power to reduce muscle pain, and back pain. It is also known to reduce inflammations and migraine. It is especially beneficial for women, as it relieves menstrual pain. Scientists have confirmed that ginger has anti-inflammatory and analgesic properties, and modern scientific studies have shown that ginger can inhibit the formation of inflammatory compounds and anti-inflammatory properties. When serving, use 1 part of ginger syrup and 3 parts of sparkling water. Serve it on the rocks. Sweeten to taste, using raw honey, or stevia, and add some lime juice. Enjoy this drink!